always prepared with love from the soul of our deep southern roots. Famous for our meat pies, our family-owned and operated restaurant boast many unique dishes you will always enjoy. 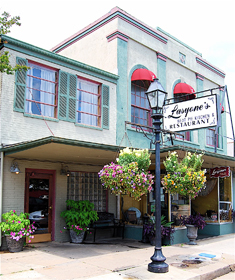 Lasyone’s is recognized nationally by the leaders of the restaurant industry, travelers from around the world, and in Natchitoches La. as a local favorite. For a catered event or just a meal, once you experience the Lasyone’s Louisiana Creole tradition, we know you’ll be back!